Chicago Public Schools finally went forward with its delayed $725 million borrowing deal, after investors had initially shied away. It begs a question that top-level City Hall sources and others within the Illinois General Assembly have been asking: Was Gov. Bruce Rauner's announcement of a potential CPS bankruptcy and state takeover deliberately timed to scare investors and torpedo the school system? The governor addressed that today. The deal went through today, one week after CPS had to abruptly pull a deal to borrow $875 million. The speculation was that investors had gotten nervous amid the talk of possible bankruptcy. The current round of borrowing is to be paid off over 28 years and the interest rate is a whopping 8.5 percent. That’s three quarters of a point higher than it was last week when the deal was pulled and one and a quarter higher than two weeks ago, before the governor and Republican leaders pitched their state takeover and bankruptcy plan. That talk of bankruptcy was the largest factor in driving the rate higher, according to Yvette Shields of Bond Buyer Magazine, and it prompted many in the higher echelons of the mayor’s office and in the General Assembly to speculate that the governor deliberately announced the bankruptcy and takeover plans to scare away investors and torpedo CPS’ ability to pay its bills. On Tuesday, the governor said he directed his State Board of Education to start looking at a possible takeover of CPS and identifying new school superintendents. His office then later clarified that he meant that the direction was on the condition the General Assembly would pass legislation enabling a state takeover and bankruptcy for CPS. Two things that, by law, cannot currently happen. Senate President John Cullerton has called the bill dead on arrival, and House Speaker Michael Madigan has not exactly endorsed it. But Gov. Rauner says he believes this is the issue that rank-and-file Democrats, especially those downstate and in the suburbs, will break with their leaders on and support him. 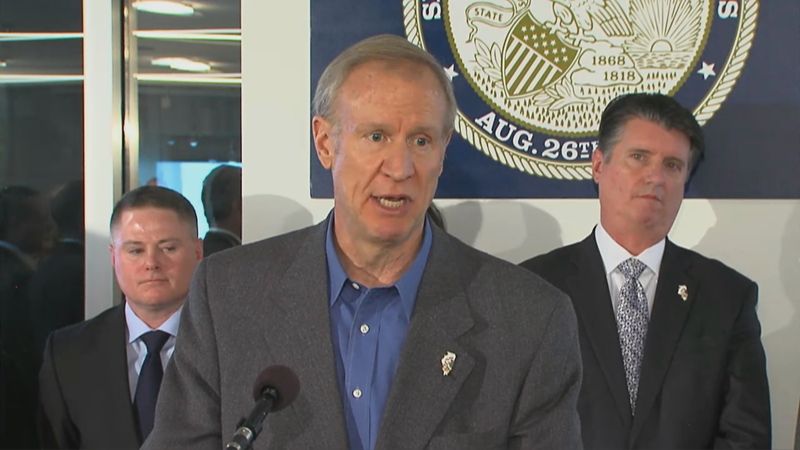 “When the time comes, many Democratic legislators are not from Chicago,” Rauner said. “They’re from the suburbs. They’re from Quincy, Decatur. When their voters understand what’s been going on, that their taxpayers have been subsidizing CPS, you watch what legislators around the state who are not from Chicago like the speaker and Senate president are, you're going to see that that bill is not dead on arrival as some are trying to claim." "Chicago Tonight" reached out to two suburban and downstate Democrats who have supported the governor occasionally – Jack Franks of Marengo and Scott Drury of Highwood – Franks told us he was “non-committal” on the bill, but says the governor hasn’t talked to him about it yet. “Nobody from the office, the governor included, has even reached out to me or mentioned it yet,” Franks said. And to complicate matters for CPS, CTU's big bargaining team has rejected the offer presented to them that would provide job security, but require them to pay more toward their pensions. The teachers union plans a big rally Thursday afternoon outside of Bank of America. This morning, the union withdrew about $700,000 it has with Bank of America to protest the fact that that bank and others have made money off of controversial swap deals it has with CPS. Today, CTU’s House of Delegates, which features a member from each school, met for what we’re told was a spirited rally to talk about the elements of the contract. In a report released last month, researchers say they have no consensus over whether local control of a school district is any better for student performance or financial management than state control of a school district. Brandis Friedman takes a look at one district where the state is in charge to see how its schools are faring. Feb. 2: The Chicago Teachers Union is fighting mad and pursuing legal action to strike immediately. We get the latest from CTU vice president Jesse Sharkey.